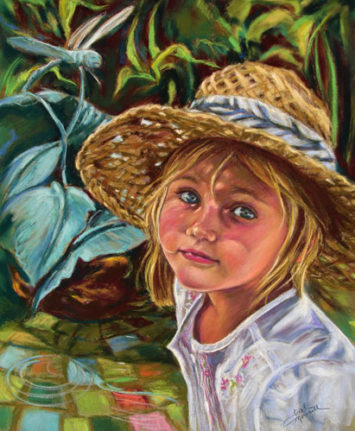 I have created diverse portraits ranging from newborns to seniors, individually and in family groupings, in a variety of settings and sizes. 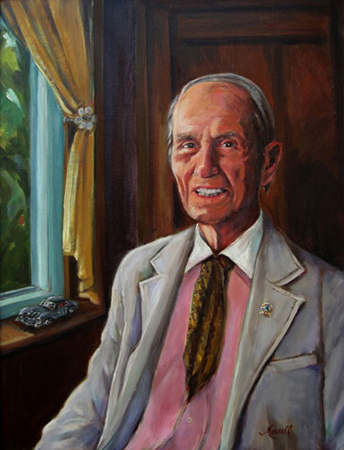 I have also completed numerous posthumous portraits. 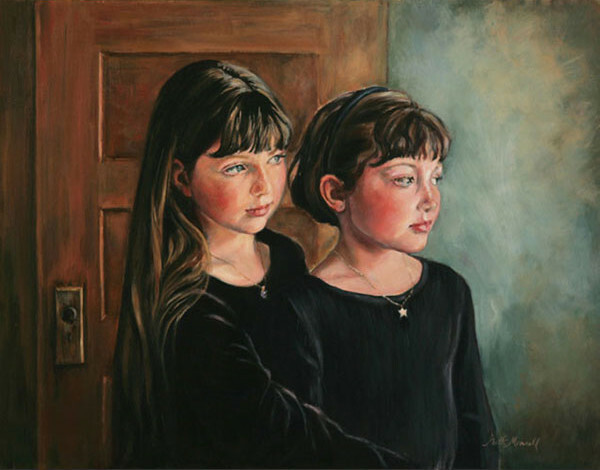 The goal is to create the portrait that fulfills your dreams, so I will work with you until you are 100% happy with the painting you have commissioned. A deposit of one-third is required when the commission is agreed upon; the balance is due prior to shipping or upon delivery. Digital previews of completed paintings to be shipped are available on request. Requests for minor modifications in the finished portrait will be honored. The goal is complete client satisfaction. I want you to be thrilled with your portrait, and treasure it for a lifetime. 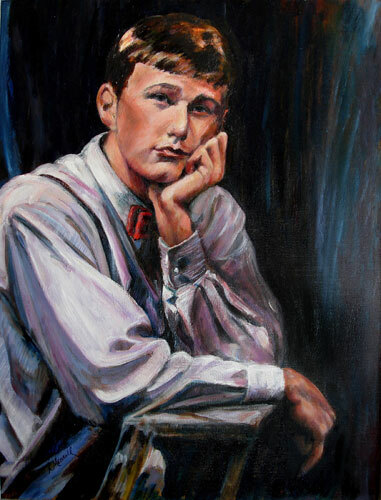 The completion time of portraits in oil varies between one and three months. 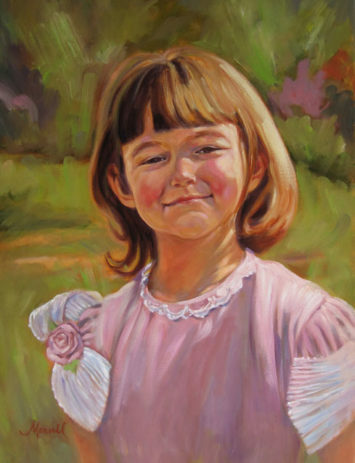 In other media, a portrait is usually shipped within six weeks of commissioning. Pricing does not include photo shoot fees, photographic prints, travel expenses, or shipping and handling. Matting and framing is available starting at $150 up to 16×20; $200 over 16×20. Please call me or fill out the form below with any questions you may have. **NOTE: Pricing does not include photo shoot fees, photographic prints, travel expenses, or shipping and handling. A deposit of one-third is required when the commission is agreed upon. My goal is complete client satisfaction. I want you to be thrilled with your portrait, and treasure it for a lifetime. The completion time of portraits in oil varies between one and three months. 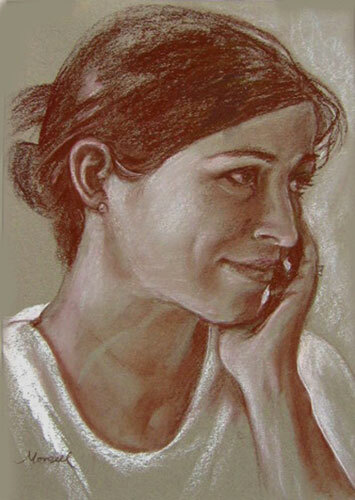 In other media, a portrait is usually shipped within six weeks of commissioning. To request a custom portrait to be commissioned, fill out the form below, submit the form and the artist will contact you to discuss your order. Check, money order, credit cards and PayPal accepted. Will this be a pet portrait? Would you like your artwork matted & framed? Have a specific type of frame?Matting and framing by the artist available starting at $150 up to 16x20; $200 over 16x20. Please call or email with any questions you may have. Leave blank or specify type. How will you be sending your photograph(s) to work from? *Disclaimer: This is only an estimate and may not include matting & framing, shipping, handling, insurance or surcharge. Submit this form and I will contact you to discuss about your project, and provide a free quote. PayPal: You will receive a PayPal invoice with the amount, including shipping and handling, to pay with your credit card through PayPal. (just add 3% to order) Phone w/ Credit Card: You will receive an invoice with the amount, including shipping and handling, to pay with your credit card over-the-phone. (just add 3% to order) Check: You will receive an email giving you the amount, including shipping and handling, for your check or money order.